As More Marketers ‘Go Rainbow,’ Is a Boom in LGBT Specialty Shops on the Horizon? Ogilvy & Mather's decision in June to launch a dedicated LGBT practice, Ogilvy Pride, signals that agencies and advertisers are stepping up efforts to more effectively reach a community whose global spending power is estimated at $3.7 trillion—and as high as $885 billion in the U.S. alone. Could this opportunity for brands, in turn, trigger the rise and expansion of freestanding LGBT practices, as well as specialized departments housed inside established shops? "That's certainly possible," said Singleton Beato, evp of diversity, inclusion strategy and talent development at the 4A's. "Clients want to reach diverse consumers and communities. If agencies have active BRGs [business resource groups], clients will reap the benefits of the insights and perspectives of these groups through the work." Societal shifts fueled an agency startup boom more than a decade ago, as clients sought to target African-American, Asian and Latino audiences, among others. Today, while executives predict that more LGBT-focused shops will launch in the near term, most believe the movement will be relatively modest compared to the proliferation of multicultural agencies in the '90s and 2000s. One reason for this, according to experts, is that the LGBT community simply isn't as large as various ethnic groups and has fewer overall dollars to spend. It's also important to keep in mind that "there are still many companies that remain tentative about marketing to the LGBT segment and are afraid of a backlash," a dynamic that didn't apply 15 years ago when agencies sprang up to help clients reach different ethnic groups, said Aaron Walton, co-founder and partner at Los Angeles-based Walton Isaacson, which counts multicultural communications among its specialties. As more advertisers target gay and lesbian consumers, established players in the space—Netherlands-based Out Now Consulting, SPI Marketing, Boutique Marketing, MWW and The Karpel Group among them—will surely add additional business, said experts, and so will diversity-minded firms that provide a range of services without focusing on any single consumer segment, like the aforementioned Walton Isaacson. Another proponent of this approach is fluent360 in Chicago. The shop serves as lead multicultural agency for Nissan North America and, in that capacity, recently developed the carmaker's first national LGBT campaign around the Gay Softball World Series. "While there always will be room for niche specialization, I see the larger trend being toward LGBT 2.0, which is an integration of LGBT diversity into general marketing activities," said Nissan corporate communications director Travis Parman. "That requires knowledgeable folks who are culturally fluent in the LGBT community, but not necessarily dedicated agencies." 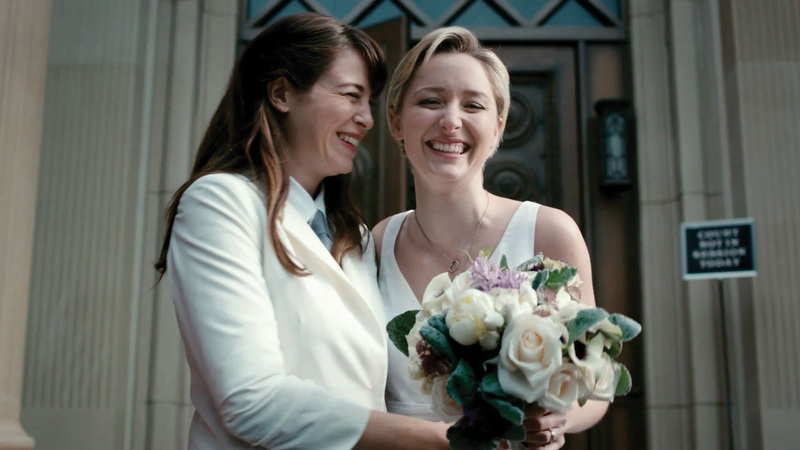 IPG's Deutsch in New York has long followed this model, with general staff creating LGBT-focused work ranging from the groundbreaking "Life Stages" campaign for Ikea 20 years ago to Microsoft Office's lesbian wedding ad in 2013. "Don't fake it," cautioned Deutsch N.Y. CEO Val DiFebo. "Get talent who understand the target, the nuances. Having a mediocre offering just for the sake of having it runs the risk of negatively impacting the agency's business." Out Now CEO Ian Johnson, who in 1992 founded the Amsterdam-based LGBT specialty shop—one of the first such players of note—offered this advice: "Understand the consumers' needs as people, then set about helping your clients communicate their authentic abilities to meet those needs. Trust involves far more than turning a brand's logo rainbow-colored for a tweet." This story first appeared in the Sept. 14 issue of Adweek magazine. Click here to subscribe.